Children in Gaza participate in the border riots and terror. 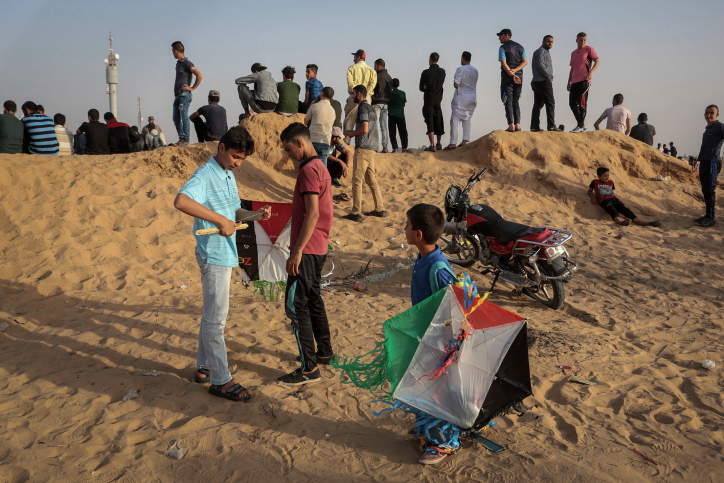 Hamas’ use of children as human shields and as bait during the so-called March of Return weekly riots is facing mounting criticism in Gaza, with locals accusing the terror group of needlessly sacrificing their children for insufficient accomplishments. A Gaza-based reporter with good ties to the Hamas leadership described to TPS how the terror group lures children to approach the border with Israel and puts them in life-endangering situations. Hamas sends buses to mosques, where children go for activities. The children are then sent out by buses to the border fence. Each cluster of mosques is assigned to a designated zone on the fence. Hamas has control of the hostilities to the extent that it has issued a religious decree that anyone who approaches the fence on his own volition and is killed will not be considered a Shahid, a martyr killed fighting the infidel. The reporter noted that Hamas is losing its support in Gaza, and therefore has added more forms in which they can entice children to arrive at the border, including cash gifts. He added that public criticism of Hamas’ usage of children is growing, and the phrase “trading children for fish” has spread, mocking Hamas for its meager achievement. Israel has recently expanded the allowed fishing zones off the coast of Gaza in exchange for abating the weekly border violence. Gazans say that even though several children have died during the riots on the fence, Hamas’ achievements a year later are summed up with broader fishing areas that Israel has agreed to. Finally, the reporter noted the irony in the expanded fishing rights. The situation in Gaza is so bad that even though fishermen can bring in more fish, no one is buying them because they have no money, and the stalls remain loaded with their catch.